Hide deals from seller "Victorian Flowers"
Limit 1 per person. 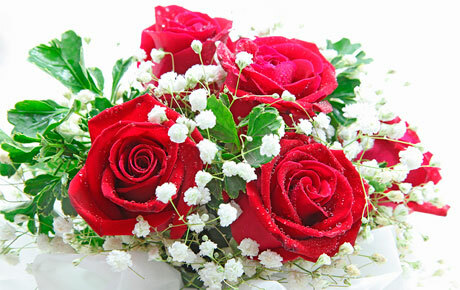 Valid on a bouquet of fresh flowers. Includes 6 roses, baby's breath and leatherleaf in mesh wrapping. Multiple colors available. Promotional value expires 30 days after purchase. Enjoy a final splash of summer color with 50% off fresh flowers from Victorian Flowers in Buffalo Grove ($18 value). This bouquet is covered with a beautiful mesh wrapping and includes roses, baby's breath and leatherleaf for a breathtaking arrangement. This budding floral shop provides floral arrangements for everything from weddings and birthdays to corporate events. They specialize in custom European floral design, providing beautiful and unique bouquets to match your requests. The bright, airy shop features a colorful array of flowers and vases, and the fragrant smell of fresh flowers fills the air. Hold onto summer a little longer and brighten someone's day with this blooming deal. A floral shop in Buffalo Grove offering arrangements for weddings, anniversaries and more.